Google Chrome has enough features to shake a stick at, or more appropriately, to wave a flag at. 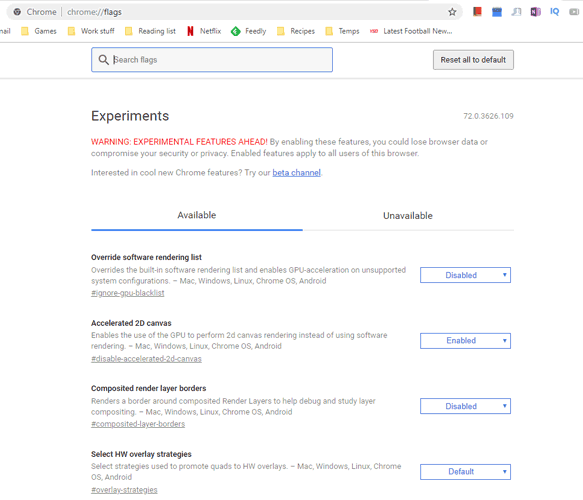 One of the less-chartered areas of Chrome’s broad repertoire is Chrome Flags where you’ll find a database of experimental features that, while not always fully functional, can boost your browser in ways you wouldn’t have thought possible. 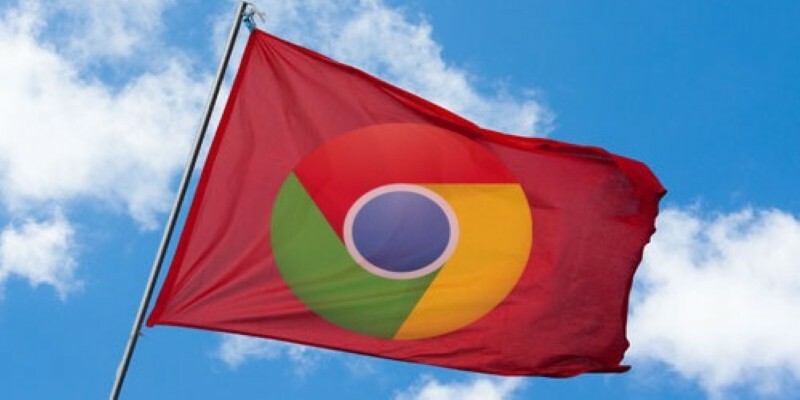 These are the best Chrome Flags for your tweaking pleasure. Also note that the Chrome Flags area has had a visual redesign recently to get in line with Google’s whole “Material” theme, but it all still functions like it used to. 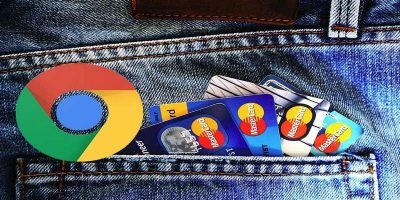 Before you use any of these Chrome flags, you first need to know how to access them. Type chrome://flags in the Chrome address bar and hit Enter. You will see a big list of Chrome Flags with a warning that these features are not stable. You can use Chrome’s “Find” (Ctrl + F) feature to quickly find the features we have listed below. I will also be adding a URL at the end of each feature that you can directly paste into the Chrome address bar to access that feature without going through the above process. 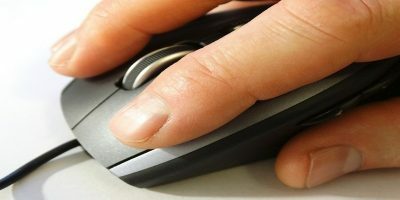 Top Sites from Site Engagement: Disabling this will prevent Chrome from tracking your top sites and sorting them in order of popularity on your New Tab page. Hyperlink auditing: Disable this to stop hyperlink auditing pings from being sent when you interact with certain onsite elements. Essentially, disabling this reduces the amount a given site tracks you. Back in 2017, Google pushed scroll anchoring to stable releases of Chrome, ensuring that when you were reading a web page, you wouldn’t be interrupted by additional elements loading onto the page and losing your position. Scroll anchor serialization is similar, this time making the process of navigating back and forwards on a page smoother by using your scroll anchor from that page to restore the position you were on. Clever stuff. If you do a bit of voice chat directly through your web browser using Facebook or any number of web-based VOIP options, you’re probably familiar with the dreaded microphone echo, where the mic picks up external sounds that you don’t want there. Well, there’s an experimental Chrome flag to help you with that. Search for “echo” in Chrome Flags and enable the WebRTC Echo Canceller 3. It won’t suddenly turn an integrated laptop mic into a high-end noise-cancelling one, but it’ll certainly help. It’s standard procedure on Chrome these days to use stored auto-fill data to fill out address forms, payment forms, and other assorted forms. Here’s a way to speed up this already speedy process. Select the “Single-click autofill” flag and enable it. That’s it! From now on you won’t need to start typing into forms to bring up auto-fill data; just click the form, and a list of auto-complete options will show up right away. 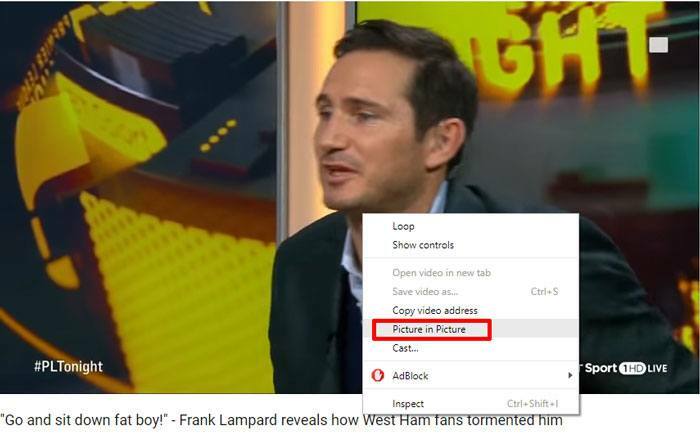 After you’ve restarted Chrome, to get this to work, you need to right-click the video you want to use this feature for (right-click twice in YouTube), then select “Picture in Picture” from the context menu. If you’re willing to sacrifice a bit of space in favor of clarity when you type things into your Chrome Omnibox, this one may suit you. 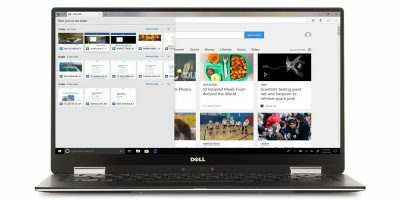 With “Omnibox UI Vertical Layout” switched on, Omnibox suggestions display the page title as well as the URL (over two lines), which makes it clearer what page you’re going to when you make a selection. This doesn’t just apply to top-level pages but pages within the site as well. Take a look and see if you like it. Having thirty tabs open at once when you’re not using twenty-nine of them is a big waste of system memory, particularly if you have a lower-end PC. Switching on this feature “discards” tabs that you have open but are not viewing in that moment. Don’t worry, this doesn’t mean it closes the tabs, and they’ll still be displayed at the top of your browser. It just means that they remain “asleep” and are not using any system memory until you click them again. As the name suggests, this lets you smoothly scroll through the content. When you scroll in Chrome using your mouse or the arrow keys, there is a little stuttering in the animation. In my experience this makes it hard to quickly go through content and easily read what is important at the same time (bad for content skimmers). With this option enabled, smooth scrolling just feels right and professional. Just search for “Smooth Scrolling” or type chrome://flags/#smooth-scrolling into the address bar to directly access it. Enable it using the dropdown menu below it. Chrome shows a tiny speaker icon on the right side of the tabs that have audio playing inside. This enables you to quickly find the source of the audio and mute or stop it. By enabling this Chrome flag, the speaker icon will act as a mute button so you can click on it to quickly mute the tab without even moving to it. Of course, you can right-click the tab and select “Mute tab” to mute it, but this is much faster without any distractions. Look for the feature “Tab audio muting UI control” or type chrome://flags/#enable-tab-audio-muting to directly access it. Click on the “Enable” button below it to enable it. When this flag is enabled, all the tabs and windows you close will be closed instantly without any delay. This doesn’t mean that it lets you skip through the closing process. What it does is hide the tab immediately once it is closed. The closing process still continues in the background without you knowing it. This definitely speeds up your browsing experience even if isn’t actually speeding up anything. You can quickly close all the tabs you like and continue working while tabs close in the background without being a hurdle in your work. 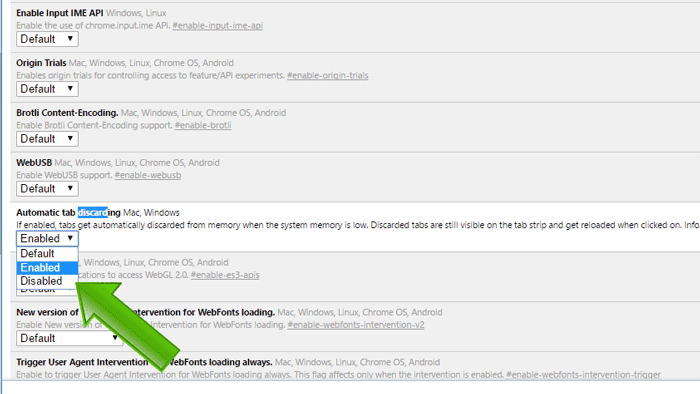 Search for “Fast tab/window close,” or type chrome://flags/#enable-fast-unload to directly access it. Click the “Enable” button below it. 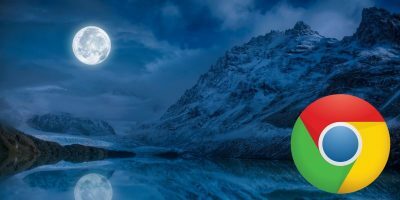 QUIC protocol is a new connection protocol created by Google that is still under development. QUIC is supposed to be a mixture of TCP and UDP protocols that is much faster and more secure at the same time. Usually when we are on a TCP or UDP connection, it takes multiple trips to the server before a connection is stable (which takes time) and ready to exchange data. QUIC protocol’s main goal is to only make a single trip to create a connection and start the data exchange process, thus increasing the overall browsing and data exchange speed. In Chrome you can enable QUIC protocol to start taking advantage of this protocol right now and speed up browsing. Look for the flag “Experimental QUIC protocol,” or type chrome://flags/#enable-quic to directly access it. Use the dropdown menu below it to enable it. When this flag is enabled, Chrome will automatically generate a strong password for you when it detects you are on a sign-up page. This is a handy feature that will help you generate a strong password without any help of third-party tools. Search for “Password generation” or type chrome://flags/#enable-password-generation to directly access it. Enable it from the dropdown menu. 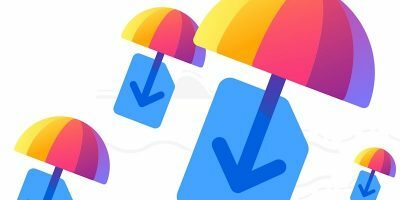 From the same Chrome Flags you can also enable Chrome Offline mode that allows you to access already-visited websites without the need of an Internet connection. I have written a step-by-step guide on How to enable and use offline mode in Chrome; you can check it out if you are interested. These are just some of the Chrome flags that will enhance your browsing experience. Although there are dozens of other flags to try, we do not recommend you mess with them unless you know exactly what you are doing. These experiments can prevent you from browsing normally and may even lead to data loss, so be very careful and only enable what we have mentioned above. Do you have any favorite flags that you’d like to see included? Let us know in the comments! This post was first published in August 2016 and was updated in Feb 2019. Google ecosystem is like the roach motel run by Big Brother. Users check in but can’t checkout. @dragonmouth I didn’t get a chance to read the article here yet cause I saw there was one comment and I had a feeling it might be you and I had to see what you said first. And once again you gave a great thought provoking comment. But me the dumbass that I am didn’t get your meaning. So would you mind clarifying it in more simple terms for someone who doesn’t posses the knowledge and brilliance that you do for me please? Big Brother (from Orwell’s 1984) – sees and knows everything about everybody. Once you get into the Google ecosystem, there is no point in leaving since ‘they’ already know all about you. Another analogy for Google ecosystem could be a Venus Flytrap. Looks very inviting but one can never leave. Don’t get me wrong, Google makes great products BUT at the same time is great at hoovering up any and all data about its users. any Windows OS as well? And to Apple and their walled garden. Inasmuch as I rant against Google, Apple, M$, they are only the point of the spear aimed at everybody’s privacy. Let’s not be naive, virtually everybody collects data on everybody else. Some entities are better at it than others. In today’s world, data is money & power. Just recently I read an article on another site about four unexpected ways data is collected on us. 1) Smartphone battery – the phones contain GPS hardware which can be turned off, emasculating many features. However, power consumption data can be used to track the phone. 2) Car’s entertainment system – car makers track driver’s listening habits and location. Then they can serve location-related ads to the driver. 3) Gas Stations and Carparks – credit card usage is tracked. BMW i3 (electric car) records the last 16 charging locations, 100 last parking spots and location every time the car is turned off or on. 4) Ultrasonic signals – high pitched tone generators can and are embedded in just about everything- websites, retail stores, billboards, bus stops, airports, etc. People can’t hear the sounds but their smartphones can pick them up and report on the location to their makers. People might as well have tracking chips embedded in their bodies. Makes the Gestapo, KGB, Stasi, et al. look like rank amateurs in obtaining data. Makes you want to crawl in a hole and pull it in after you. Just make sure you leave your smartphone behind! These flags look great. One thing I don’t like about Chrome for Android is ad blockers don’t seem to work similar to Chrome for Windows. I still get a lot of pop-up ads in Chrome for Android that are totally blocked in Chrome for Windows even though I have added the ad blockers to my Chrome extension they don’t seem to behave the same across platforms. Chrome for Android doesn’t support extensions. Get Adguard for Android adblocking. I can’t review learning material. I have tried to enable chrome flags but nothing is working. Good tips here thanks. I discovered that disabling extension for ad blocking solved the frequent disconnects of streaming news video. dragonmouth lol you are so paranoid! Just because one is paranoid does not mean that someone is not collecting data on you. Just google your name and see how much information is available. Some of it even you did not know or forgot. 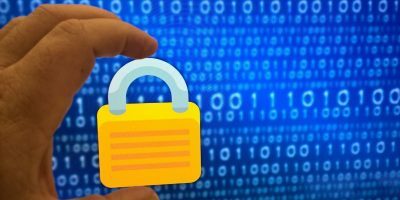 As I have stated in comments to other articles about online security and data, not only can Google collect data about your browsing through Chrome but it can also collect data on your browsing when you use Firefox. The problem is that unless you are familiar with the thousands of keys in ‘about:config’, you will never know that you are being tracked, or how to turn that tracking off. Am I being paranoid? If you are a habitual Chrome and other Google products user, my sincerest condolences. If you are comfortably ensconced in the Google cocoon then it does look like I am paranoid. However, if you use Firefox, go to about:config and enter Google and Safe Browsing in the search bar. You will get at least a couple of screens full of finds. Many of the entries will have Google URLs to which they send data. Other entries enable the sending of that data to Google. WHY does Firefox, which IS NOT a Google product, have over 50 entries for Google and SafeBrowsing, with most of the URLs being for Google servers?! The SafeBrowsing and Google entries can be altered only manually bu editing about:config. So, in effect, those entries are invisible to most FF users. SafeBrowsing is a Google product (module) which prevents users from accessing questionable site. The URL of every site that you access is checked against a database stored on Google servers and maintained by Google. It is of course used in Chrome but it has also been incorporated into other browsers, such as Firefox. SInce I only use FF, I cannot say how wide spread the use of SafeBrowsing is in other browsers. While having a centralized database of sketchy sites is a great idea, the fact that Google records each and every site accessed, with a lot of identifying information, in another database definitely is not , AFAIAC. SafeBrowsing is analogous to Secure Boot that Microsoft forced all m/b manufacturers to install to ostensibly prevent sketchy software from being installed during the boot process And thus secure Windows. 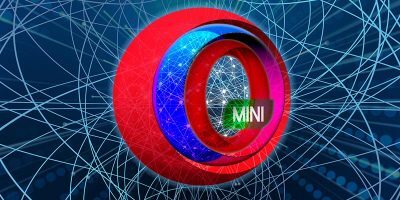 But SafeBrowsing is a passive product that can be easily gotten around, while to get around Secure Boot to install an O/S other than Windows takes quite bit of work. If I was paranoid, I would say that MS invented Secure Boot to put a roadblock in the growth of Linux and BSD. If you change any of the flags, don’t forget to relaunch your browser to put them into effect. I have tried to get to this but when I input chrome://flags if get that the page not found. So please how do I get into it. I am also getting You are using an unsupported command line flag disable-web-security. Plus there is a risk to my security. Any help would be great and I am not computer savvy . Thank you for your time in reading this and for any help you may offer. Many of the flags are not available now. tab muting, hyperlink etc.